System images of, for example, the C drive, contain operating system files so it is not possible to restore files in real time because they will be in use by the operating system. 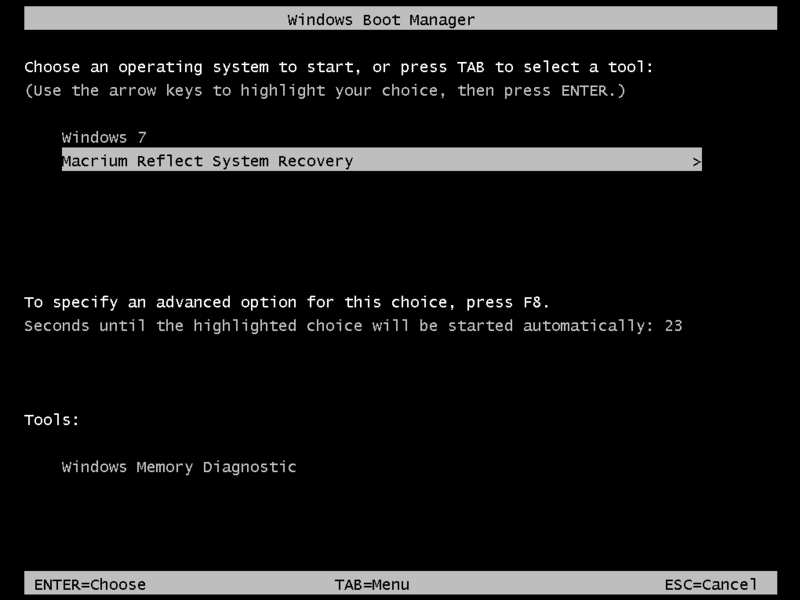 To resolve this Macrium Reflect boots Windows PE, a cut down version of Windows. It then restores the file system before rebooting again and loading the restored Windows OS. Although this sounds complex, it really is very simple to perform. In the main application window, select Restore. Select the required image and click Restore Image. The next dialog gives you the opportunity to restore the image, click Next and select all defaults. Macrium Reflect, recognizing that it is not possible to restore the image to the C drive, displays a dialog informing you that Windows PE must be used. Click Run from Windows PE. Note: If the option for 'Automatic boot' is unavailable the please follow the steps Adding a boot menu option for Reflect recovery and retry the restore. You are prompted to restart your PC. Close any saved work and click Restart Now. The system reboots, Macrium adds a boot menu option and automatically selects the recovery environment. Windows PE boots and automatically runs Macrium Reflect. Macrium Reflect detects which image is to be restored and starts restoring automatically. When restore is complete, Macrium automatically reboots the PC again and the restored Windows OS boots as normal.